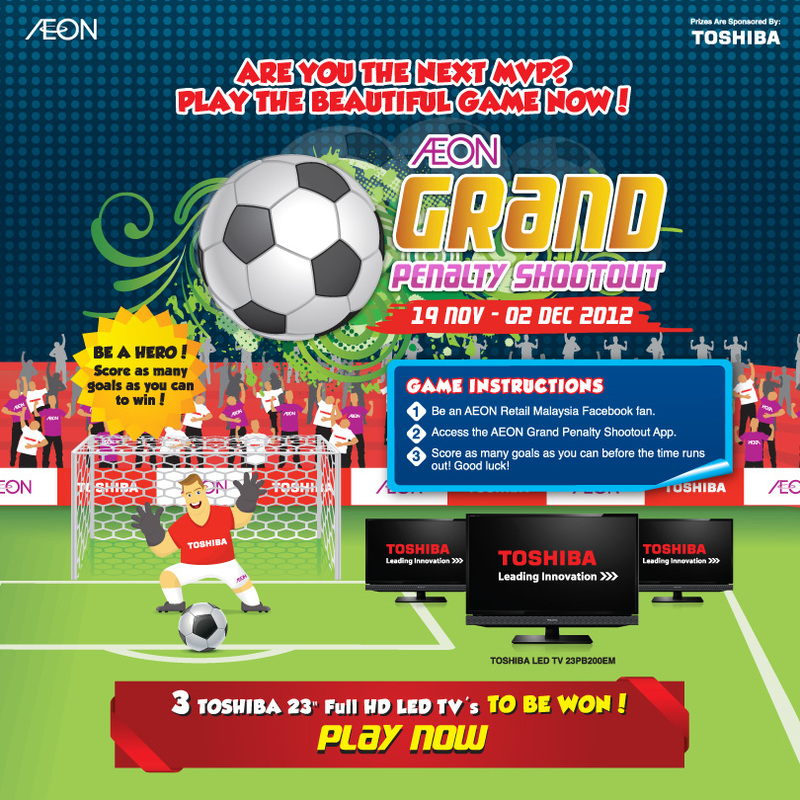 Grand prize x 3: TOSHIBA 23" Full HD LED TV! Access the AEON Grand Penalty Shootout App & play the online game. Score as many goals as you can before the time runs out! Get the New iPad for only RM798!